English law of contract generally requires that the person seeking to enforce a contract has to have provided "consideration" The requirement for consideration has been criticised but it remains a key element in the creation of most contracts. The word "consideration" is a term of art and can be defined as - "An act or forbearance of one party, or the promise thereof, is the price for which the promise of the other is bought, and the promise thus given for value is enforceable" - Pollock on Contracts - approved by the House of Lords in - Dunlop v Selfridge  AC 847. 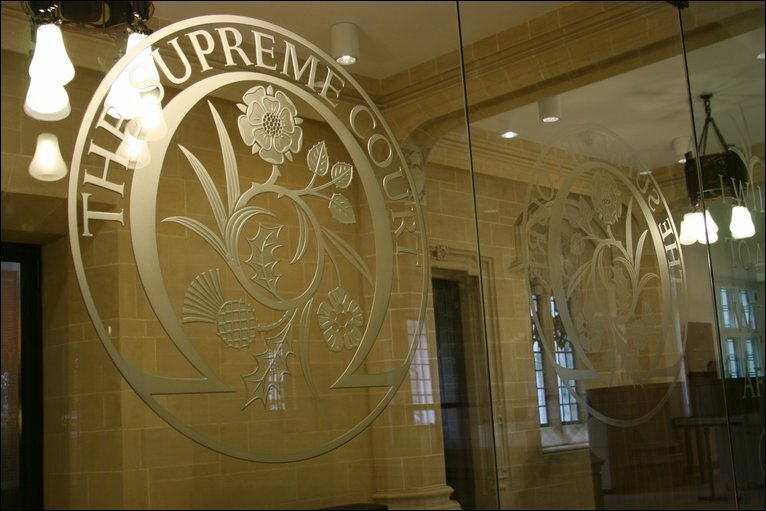 On 16th May the Supreme Court gave judgment in Rock Advertising Ltd v MWB Business Exchange Centres  UKSC 24 - Lady Hale, Lord Wilson, Lord Sumption, Lord Lloyd-Jones, Lord Briggs. Watch the court handing down judgment. Lord Sumption said - "Modern litigation rarely raises truly fundamental issues in the law of contract. This appeal is exceptional. It raises two of them. The first is whether a contractual term prescribing that an agreement may not be amended save in writing signed on behalf of the parties (commonly called a “No Oral Modification” clause) is legally effective. The second is whether an agreement whose sole effect is to vary a contract to pay money by substituting an obligation to pay less money or the same money later, is supported by consideration." In brief, the situation was that Rock had a written contract (a "contractual licence") with MWB to occupy office space for a fixed term of 12 months. The contract contained a "No Oral Modification" clause. Rock accumulated licence fee arrears. A Rock director proposed a revised schedule of payments to a credit controller employed by MWB. Under the proposal, certain payments would be deferred and the accumulated arrears would be spread over the remainder of the licence term. This revised schedule was worth slightly less to MWB than the original terms, because of the interest cost of deferral. A dispute arose as to whether the credit controller had orally accepted the Rock director's proposal. MWB subsequently locked Rock out of the premises, terminated the licence and sued for the arrears. Rock counterclaimed, seeking damages for wrongful exclusion from the premises. The Supreme Court held, reversing the Court of Appeal, that the No Oral Modification clause prevented an oral variation of the contract. It was therefore unnecessary to deal with the question about consideration. Had the court needed to address the point about consideration it would have had to consider the House of Lords decision (handed down on 16th May 1884) in Foakes v Beer (1884) 9 App Cas 605 or  UKHL 1. Their Lordships (Earl of Selborne LC, Lords Blackburn, Watson and Fitzgerald) upheld the rule in Pinnel's Case (1602) 5 Co Rep 117 where the Court of Common Pleas had held that part payment of a debt could not be satisfaction for the whole. The judgment of Lord Blackburn was of particular interest given his dissatisfaction with the rule and his view that by accepting less a creditor could in some cases gain a practical benefit. The respondent, Julia Beer, loaned the appellant, Dr Foakes, £2090 19s. When F was unable to repay this loan, B received a judgment in her favour to recover this amount. The pair then entered an agreement whereby ‘in consideration’ of an initial payment of £500 and ‘on condition’ of six-monthly payments of £250 until the whole amount was repaid, she would not enforce her judgment against him. F made these regular payments until the entire amount was repaid. However, he had not paid any interest on the judgement debt, which B was entitled to under statute. This interest totalled £302 19s 6d. The House of Lords held that the respondent’s promise not to enforce the judgment was not binding as F had not provided any consideration. At para 18 of the Rock judgment, Lord Sumption said - " The reality is that any decision on this point is likely to involve a re-examination of the decision in Foakes v Beer. It is probably ripe for reexamination. But if it is to be overruled or its effect substantially modified, it should be before an enlarged panel of the court and in a case where the decision would be more than obiter dictum." Clearly, that statement raises a question about various constitutions of the Supreme Court. The court has issued a brief statement about when a panel of more than 5 justices will sit - see Panel Sizes. Foakes v Beer upheld what was, even in 1884, a long-standing provision of the law of contract. Clearly, bullet points 1 and 3 would apply. Whether the panel should be 7, 9 or even 11 (as in the Miller litigation) would have to be decided in the event of an appropriate case arising. 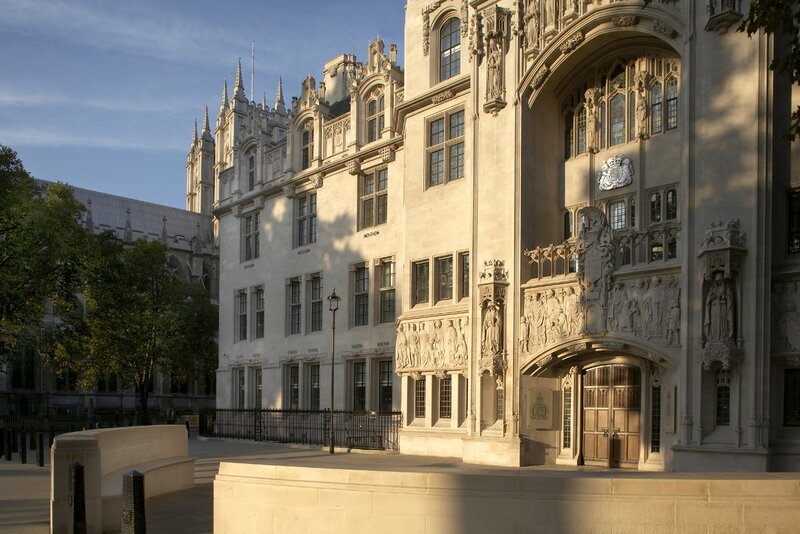 The Miller litigation - dealing with the power to give the Article 50 notice to the European Union - is the only case which has been deemed to need 11 justices and that was probably to avoid argument that a differently constituted court might have decided the matter differently! The Earl of Selborne held the Lord Chancellorship twice - October 1872 to February 1874 and from April 1880 to June 1885. During his first period in office the Judicature Act 1873 was enacted making immense changes to the structure of the courts. Lord Blackburn was involved in a considerable number of cases involving contract - HERE. In 1878, a Criminal Code (Indictable Offences) Bill was introduced and was sufficiently well received to be referred to a royal commission. The commission was to consider and report on the bill and also to suggest any other alterations in the existing law or procedure that seemed desirable, it being recognized that Parliament itself could not give the bill the detailed technical legal scrutiny required. See this extract from Hansard. (in particular, detailed provisions concerning the use of force in self-defence, defence of property, and the prevention of crime). The royal commission agreed to recommend to Parliament both the principle of codification and a revised bill. This was a considerable achievement, especially since the commission's chairman, Lord Blackburn, the most eminent judge of the day, had previously been opposed to codification. The Criminal Code Bill had its first two readings in the House of Commons in April and May 1879, but no third reading that session. It was reintroduced in February 1880, but there was a change of government in April of that year, and although the part of the code dealing with criminal procedure was announced as a government measure in the Queen's Speech in both 1882 and 1883, Parliament's time and attention were dominated by the struggle for Irish home rule. Consequently, nothing further was done to secure the code's enactment. To this day there is no Criminal Code for England and Wales. In 1989, the Law Commission published a draft Criminal Code.